The resolution was introduced by the unitary plurinational state of Bolivia and was supported by 50 other member states of the United Nations. The term “Mother Earth” implies the interdependent relationship which exists between all the species of planet earth and to acknowledge earth’s role in sustaining them all. “International Mother Earth Day” is aimed at sharing responsibilities and setting agendas for a peaceful coexistence with nature. There is reason behind the title of this celebration as “Earth Day”. It was suggested by number of people in 1969 and the idea came with “birthday” as Earth day (rhyming word of birthday). 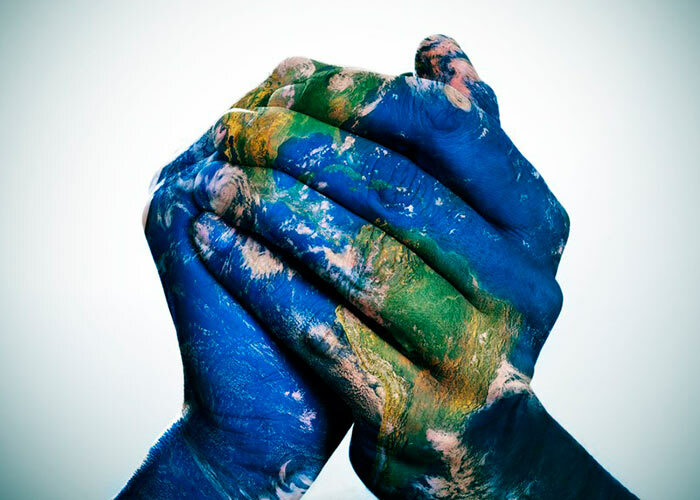 International Mother Earth Day 2019 was observed on Monday, April 22nd 2019. World Earth Day 2019 theme was “Protect Our Species”. It mainly focused on saving species which are on the verge of extinction due to climate change, deforestation, pollution and illegal poaching. Earth Day Network, the organisation which spreads awareness on environmental issues across the globe organized various events to raise awareness on saving the endangered species of the world. It urged people to say no to herbicides and pesticides and follow a plant based diet. Environmental activists organized various processions and held rallies on the occasion to spread the awareness about saving our planet and making it the best planet to live. Focus was also made on fighting climate change, deforestation, pollution and protecting endangered species. NASA, the international space agency, celebrated the World Earth Day by organizing a photo contest with hash tag #PictureEarth. The contestants had to take a picture of nature and post it on social media with the same hash tag. The best pictures were showcased on the NASA’s blog on 22nd April. Many countries have been celebrating “Earth Day” since 1970, decades before the introduction of “International Mother Earth Day”. The initiative to celebrate Earth Day was taken by Gaylord Nelson – the senator of California in 1969. An oil spill on the coast of California on January 28, 1969 which killed thousands of marine animals, invoked the then senator Gaylord Nelson to take action. He called in a forum to discuss the issue of environment and the human impacts on it; surprisingly his first tech in on 22nd April 1970 was attended by 20 Million people. Further In 1992, the UNCED (United Nations Conference on Environment and Development) was held in Rio de Jenerio, Brazil from 3rd to 14th June. In the conference 178 countries adopted the agenda of Rio Declaration on Environment and Development and principles for the sustainable management of forests. Noting the fact that many countries have been celebrating Earth Day on 22nd April; Bolivia under its then President, Evo Morales Ayma, introduced a resolution to celebrate 22nd April as “International Mother Earth Day”. The resolution was backed by over 50 member states, and was adopted by the UN General Assembly on 22nd April 2009. The inaugural function of “International Mother Earth Day” was celebrated in 2010; since then it us being observed annually across the globe. Now a day, everything is being packed in the plastic bags or given in it by the shopkeepers. Plastic bags productions are increasing day by day which is very shameful condition for us as these materials are undegradable. The first celebration of the Earth Day was took place in the US on 22nd of April in 1970 to mark the environmental movement as a big matter of fact. Students group from the US College campuses had participated to protest for the environmental deterioration to increase the public awareness. Another group was protested for the oil spills, toxic dumps, air and water pollution due to industrialization, raw sewage, use and production of pesticides and many more. Since then, 22nd of April was continued to be celebrated as Earth Day officially. People from all over the world celebrate earth day with great enthusiasm and interest on each 22nd of April since 1970 to save the natural assets of their earth. More than 20 million Americans took part in the event celebration and make the streets, parks and auditoriums busy in order to display their themes role based on the public health, environmental issues, industrialization, deforestation and so many. Students from thousands of colleges, universities and other educational institutions actively take part in the protest against increasing earth issues such as the day to day environment deterioration, air and water pollution, ozone layer deterioration, industrialization, deforestation and etc to prevent the oil spills, set up of polluting factories, power plants, use and production of pesticides and etc. Various steps have been taken by the governments of many countries towards the safety of earth by implementing the variety of legal rules. A group of environmental leaders organize various events and campaigns to celebrate the earth day. A big crowd of the people gets together from 141 countries to solve the environmental issues by implementing variety of useful measures. People take part in demonstrating the theme of clean environment in order to build a clean and healthy world to welcome new generations. The aim of celebrating the world earth day is to inspire the public for making better earth environment. At this day people perform outdoor activities related to the earth safety like new trees plantation planting trees, picking up roadside waste materials, recycling of wastes, energy conservation and so many. Some people request governments to take immediate action to prevent the day by day increasing global warming and other environmental destructions. At this day all the TV channels to show their programs to deal with the real environmental issues to get public aware. It has not been declared as the public holiday officially by the government. All the schools, colleges, universities and educational institutions are open at this day. April 22 Earth Day, founded by Senator Gaylord Nelson, was first organized in 1970 to promote ecology and respect for life on the planet as well as to encourage awareness of the growing problems of air, water and soil pollution. Motivate people by wearing green, brown or blue clothes for displaying the environmental colors. Teach people that every day of their life is earth day, so they should take care of the earth on daily basis. The founder of the Earth Day, Gaylord Nelson, has chosen this day (22nd of April) to increase the awareness among common public, especially among youngsters to get full effect of the campaign of environmental safety. He had selected this day by keeping things in mind that there would not be any disturbances of the exams for the students or any fairs and festival for the common public, so that everyone could pay their full attention towards this event celebration. According to the Gregorian calendar, it is considered that 22nd of April 1970 was the 100th birth anniversary of the Vladimir Lenin. Various governments and non government agencies organize events on “International Mother Earth Day”. Any such event needs volunteers to work and support the campaign. You can also volunteer in such an event and contribute your bit towards saving Mother Earth. As the threats to the planet are increasing, there is an urgent need to raise general awareness about environmental protection, habitat protection and minimizing the effects of climate change. There is also a need for everyone to acknowledge the role that earth and its environment play in sustaining life. It could only be done by raising awareness and letting people admire the planet and its various elements. The future of the planet lies in the hands of the children of today. It is in the hands of our children that we will hand over the planet. Children should know the significance of the planet they live in and admire its resources and sustainability. They should be taught the meaning of “Mother Earth” and what it implies. Organize events in schools to make the children realize that Earth is like a mother who sustains, feeds and nurtures her children unconditionally; we just have to keep her safe in return. 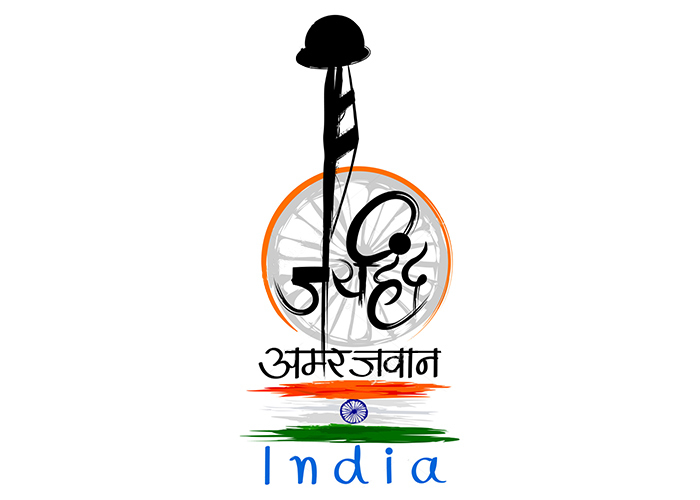 Honor those who have done something for the cause of environment, pollution or cleanliness etc. You can organize a small felicitation event in your community, to felicitate anyone for working on environmental issues. The work doesn’t need necessarily to be exceptional and anyone who has simply taken an initiative could also be applauded. Such appreciation will not only encourage the person making him more dedicated to the cause, but also inspire others to follow suit. Keep yourself updated of the events around the world as well as in your own city, village or community. To motivate others and also to make them aware of the significance of the day you need to be updated yourself. You could be a source of information for them; motivating and inspiring them to admire the planet earth as mother and also to pledge for her protection. Trees play a vital role in the environment. Trees are essential for climate regulation, causing rains, preventing floods etc. They are also essential for providing livelihood and sustaining life. Over all trees represent the health of our planet “Mother Earth”. Planting trees is like giving medicines to an ailing earth and is bound to make a positive effect. So, plant as many trees as you can to celebrate the day and show your concern towards mother earth. Pollution is one of the most potent and immediate threats to the environment and consequently to the earth. The environment is getting damaged constantly by pollutions of various kinds – air pollution, water pollution, soil pollution etc. All the pollutions are due to human induced factors. On the event of “International Mother Earth Day”, take up to cleaning the road or a public place in or around your community. By taking up the cause of cleaning the environment on “International Mother Earth Day” you are contributing towards improving the overall health of mother health. Organizing events and campaigns might require funds for mobilization of various resources and also for other causes. If you wish, you could start in advance; collecting funds for the event. The fund collected could be used for planting trees or for other environmental issues. Pledge to protect the earth and its environment, also encourage your relatives and friends to take the pledge with you. Pledge to refrain from polluting the environment and also to stop others from doing so. This way you will acknowledge the role of earth as a mother, reaffirming her essentiality in providing sustenance and livelihood. “International Mother Earth Day” Theme 2019 is – “Protect Our Species”. “International Mother Earth Day” Theme 2018 was – “End Plastic Pollution”. “International Mother Earth Day” Theme 2017 was – “Environmental and Climate Literacy”. ‘International Mother Earth Day” Theme 2015 was – “It’s our turn to lead”. “International Mother Earth Day” Theme 2014 was – “Green Cities”. “International Mother Earth Day” Theme 2013 was – “The Face of Climate Change”. “International Mother Earth Day” Theme 2012 was – “Mobilize the Earth”. “International Mother Earth Day” Theme 2011 was – “Clear The Air”. “International Mother Earth Day” theme 2010 was – “A Global Referendum on Climate Change”. “International Mother Earth Day” theme 2009 was “How Do You Get Around”. “International Mother Earth Day” theme 2008 was “Trees Please”. “International Mother Earth Day” theme 2007 was “Be kind to the earth – starting from saving resources”.